The Albert Lea Economic Development Agency (ALEDA) consists of two separate agencies. They are the Albert Lea Port Authority and Greater Jobs Inc. The Port Authority is a political subdivision of the State of Minnesota. It was created in 1987 by the Albert Lea City Council. Greater Jobs Inc. is a private not for profit development corporation created in 1943 as Jobs Inc. Our mission is to create jobs and enhance the tax base of the City of Albert Lea and all of Freeborn County. In September 2003, a decision was made by Board members to combine the various local economic development entities into one organization in order to function in a more seamless manner, and to utilize the strengths of each organization. At that time, the Albert Lea Economic Development Agency was created. Today ALEDA serves as the mechanism where the county, city and the private sector work together for economic development in Albert Lea and Freeborn County. In response to the economic problems which might occur when the war ended Greater Jobs Inc. was formed to meet goals of job retention and economic development. Newly created to construct a new spec building in the Northaire Industrial Park Albert Lea Port Authority continues to draw new and relocating business and industry to Albert Lea and Freeborn County today. In order to enhance the economic development focus and assist in developing local start­up business and industry ALBDC was created. Phillip Johnson is the Executive Director of the Albert Lea Economic Development Agency (ALEDA). He started his position with ALEDA in February 2019. Prior to joining ALEDA, he worked for the Salton Sea Authority in Riverside, CA. 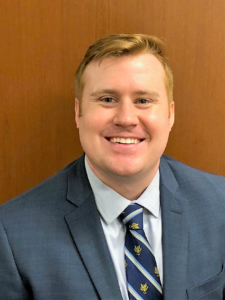 He has experience in legislative policy and strategy, outreach coordination and awareness campaigns, long-range planning, and working within federal, state, and county levels of government. 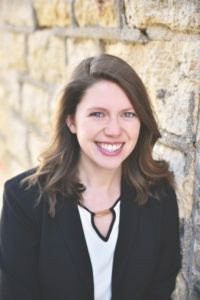 Noelle Hagen is the Small Business and Marketing Manager of the Albert Lea Economic Development Agency (ALEDA). She has been with ALEDA since 2016. Prior to joining ALEDA, she worked for the Albert Lea - Freeborn County Chamber of Commerce and in retail sales.